One of the many chants at the Women’s March and a quote that embodies the movement that is feminism—the equality of men and women. Feminism is often socially discussed with a negative connotation, being those behind the movement have been misrepresented by some who are confused about what it is pushing for. Allow A Magazine to lay that to rest for you now; the rise of women is not the fall of men. Feminism is not about rising above men, but rising above the social status men have placed on women for centuries. It is for women to be held in equal regard and not for men to treat women as inferiors. This is also the embodiment of the marches that have taken place notably since President Donald Trump came into office, as women now feel objectified based on his actions and his words. Many women feel since Trump came into office, America has not only taken a giant leap backward, but has fallen back down the stairs and into the basement of misogyny. The following year saw the U.S. go back-and-forth between these issues, the citizens praying for a resolution that would fall in their favor. On Jan. 20, 2018, the country remains in the same condition it was a year ago. 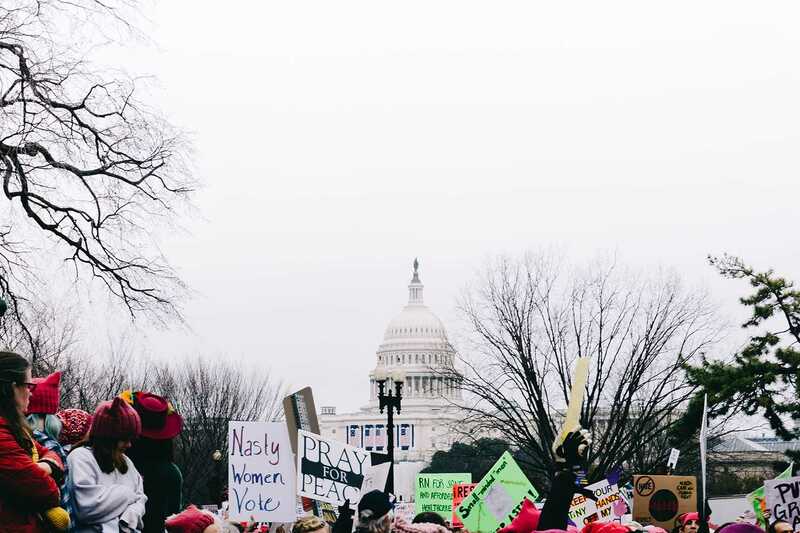 This time around, the Women’s March was not so much a protest for women, but a cornucopia of protests shedding light on issues that accumulated throughout the past year and addressing problems that have not changed. Among the protests were the fights against police brutality, immigration reform, Black Lives Matter, Palestine, environmental issues and trans rights. Rather than a protest solely dedicated to the rights and issues that fall under one category, people have come together as one voice to express their sincere opinions on issues that are detrimental to humans and their worlds alike. One thing, however, remains consistent, the voices that can be heard brokenly telling their versions of their own protests on the same issues when they were in college; now, the next generation is still protesting things that they had once achieved, and thought were long over. There are few things as painful as dedicating one’s life to an issue, resolving that issue, and seeing all their hard work taken away by a single person, aging and dying with the knowledge the fight is not over. Instead, their children will carry the baton to fight the same battle. A tradition passed down in hopes of a positive ending—this is today’s agenda of the women’s march. The agenda of men and women. Of people of color. Of immigrants. Of the LGBTQ community. Of environmentalists. Of all who fall and have fallen victim to greed, intolerance, judgment and ignorance. This is today’s agenda, with the hope tomorrow’s agenda will not be as fractured.